A GMO-FREE DIET. 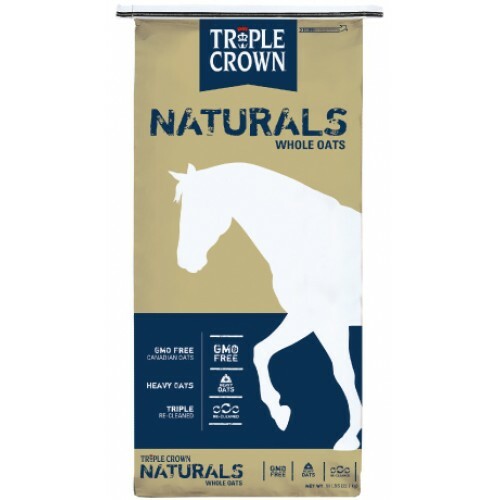 IDEAL FOR HORSES WITH RESPIRATORY ISSUES AND THOSE REQUIRING ADDITIONAL CALORIES, OR ASSISTANCE OPTIMIZING THEIR PERFORMANCE, OVERALL HEALTH AND ENERGY. 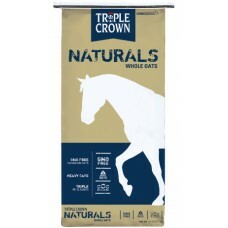 Triple Crown Whole Oats are Canadian sourced, high test weight and GMO free. Triple recleaned and dust free, these grains help optimize performance and health.